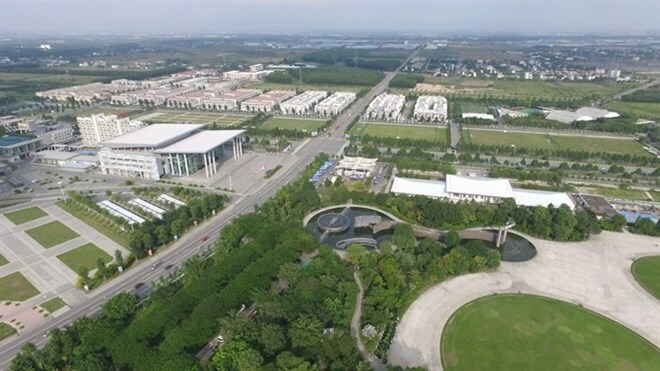 HCM City (VNA) - The Executive Board for Binh Duong Smart City has approved a plan to implement the province’s smart city project this year, according to Mai Hung Dung, Standing Vice Chairman of the provincial People’s Committee. As part of the smart city plan, the province will focus on building semiconductor factories, training high-quality human resources, developing Fablab and Techlab systems at universities, and promoting innovation activities in the community. It will also support entrepreneurs and develop a hi-tech industrial park and LED lighting project, as well as create an e-government system and software for enterprise database management. The plan also calls for a focus on tourism, hosting of major international events, and sustainable development programmes. Many of the smart city projects are expected to be completed this year, including the Centre for Community Initiatives and Start-up Support, and two Fablabs at Thu Dau Mot University and Vietnam-Singapore Vocational College, among others. The province will also focus on building a Science and Technology Industrial Park, and create feasibility studies for smart logistics and a railway route. These proposals will be submitted to the government for approval. In addition, the Executive Board for Binh Duong Smart City will be organising major events related to smart cities, among other international events. Dung said the executive board agreed with the plan to begin implementing the smart city project this year. However, he also noted that local agencies should seek more partnerships with neighbouring cities and provinces, as well as businesses and local and international experts, to help with the project. Agencies have been told to prioritise projects related to semiconductors, LED lighting projects, and e-Government. Last year, the province hosted the WTA Summit 2018, attracting around 100 members from the World Technopolis Association (WTA) from nearly 50 countries and territories.